Lucille Amos, a certified Judy Niemeyer instructor, will be presenting a program and trunk show at our guild meeting program Monday evening, April 8. She will then be leading a workshop the following day. We have selected two different patterns: “Desert Sky” (48″ x 54″) and “Sunflower Illusions” (62″ x 72″). We are ordering the patterns through Lucille which takes about two weeks so be sure and sign up early to have your pattern before the workshop date. Both are beautiful quilts! Below is a partial supply list; more details will be provided when you register. Kit Fee: “Desert Sky” $22.00 or “Sunflower Illusions” $36.50, checks to be made payable to Lucille Amos. 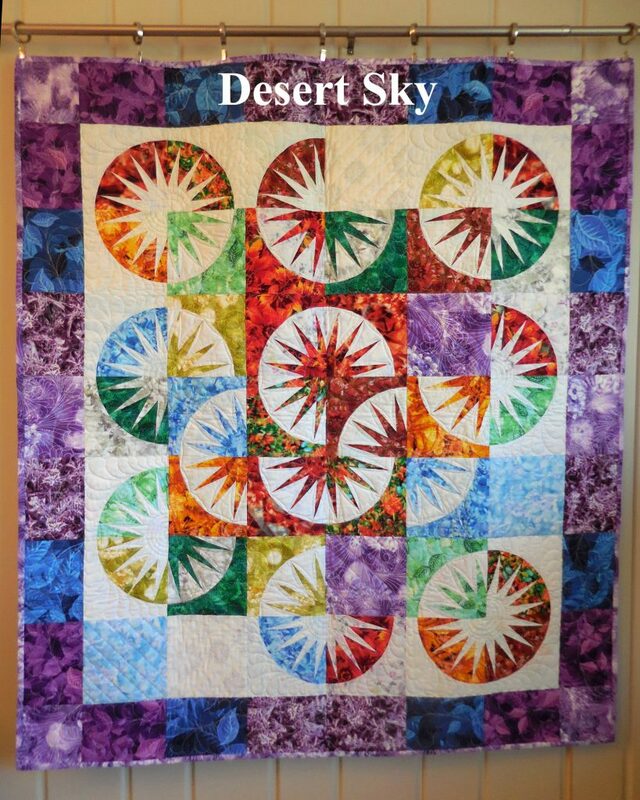 “Desert Sky” made from fat quarters—12 light/medium and 12 dark/medium dark fat quarters. Please have all fabrics cut into fat quarters. 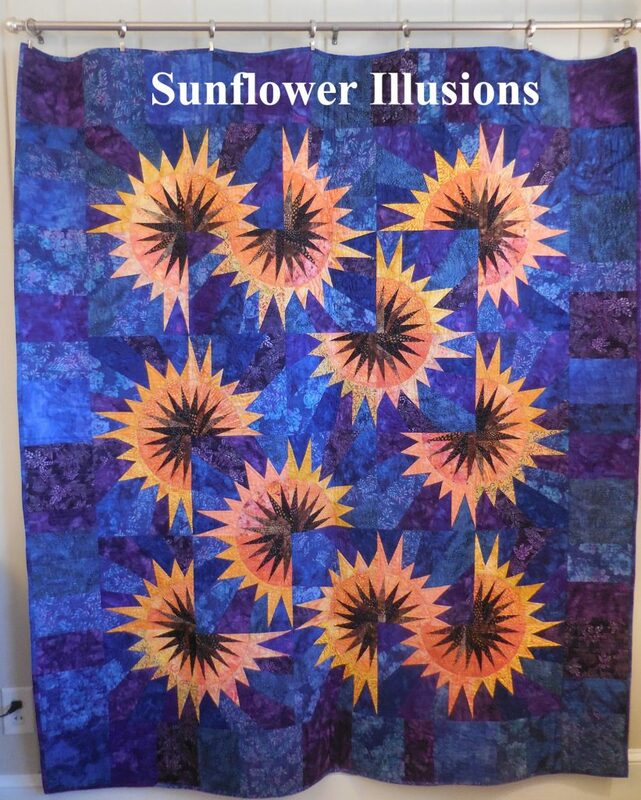 “Sunflower Illusions” made from yardage of oranges, yellows, dark browns, black, and dark blues for night time sky, or lighter colors for daytime sky. There are pre-class cutting instructions.